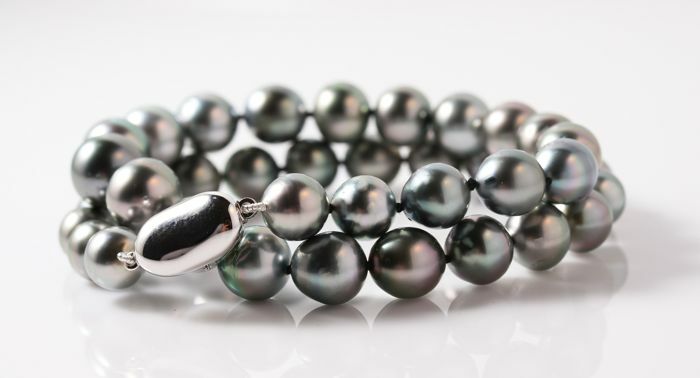 This beautiful pearl bracelet features a double row of lustrous Tahitian pearls measuring 8.6x11mm. 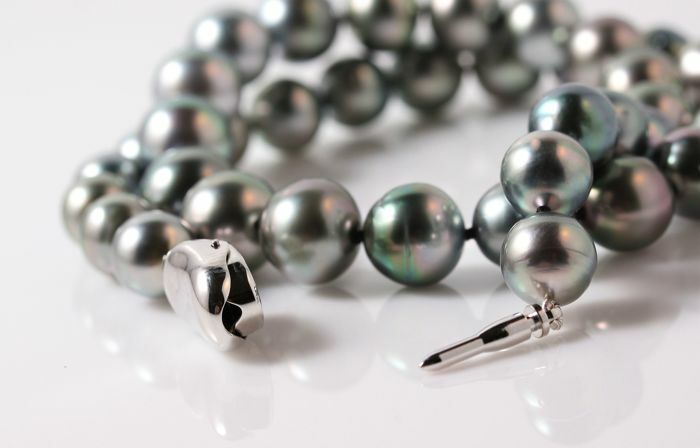 Emerging from the tropical lagoons of French Polynesia, the pearls have a natural green body colour with purple and silvery grey shades. 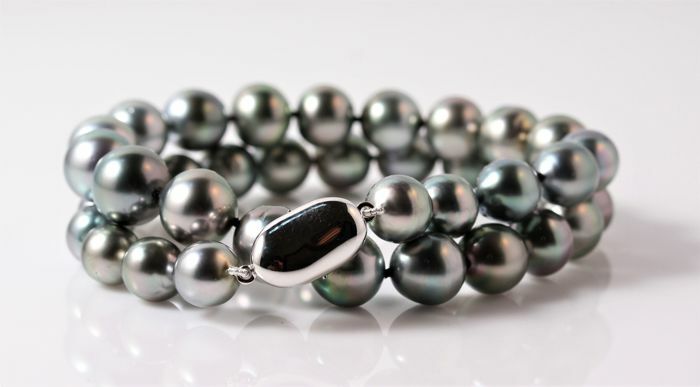 The bracelet measures 40cm and wraps twice around the wrist for an elegant yet stylish look. 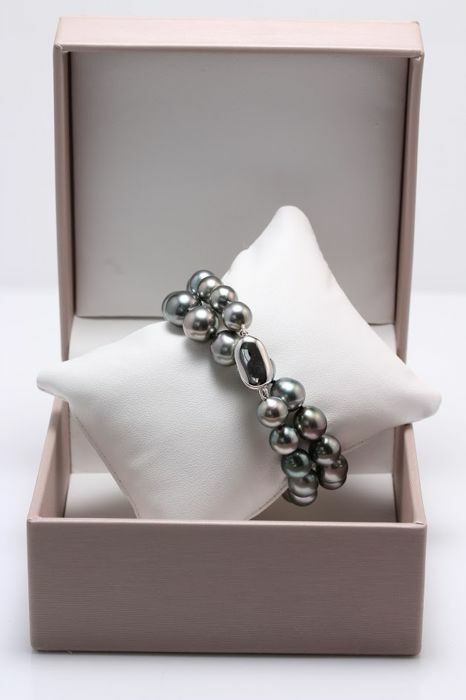 The clasp is safe and is easy to open and close. 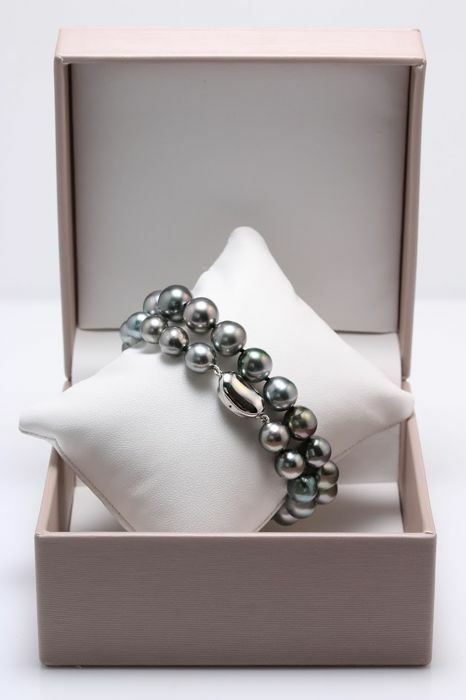 Packaging: Bracelet Jewellery box and an Authenticity Certificate to guarantee the source and quality of the pearls. 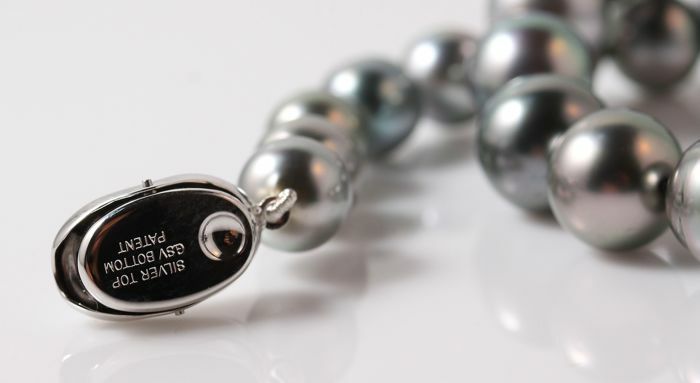 Zeer tevreden over de kwaliteit van het collier en de wijze van verzenden. 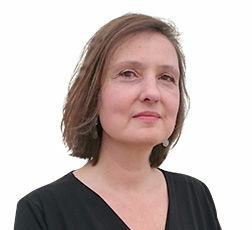 Produs conform descrierii, A ajuns destul de repede.